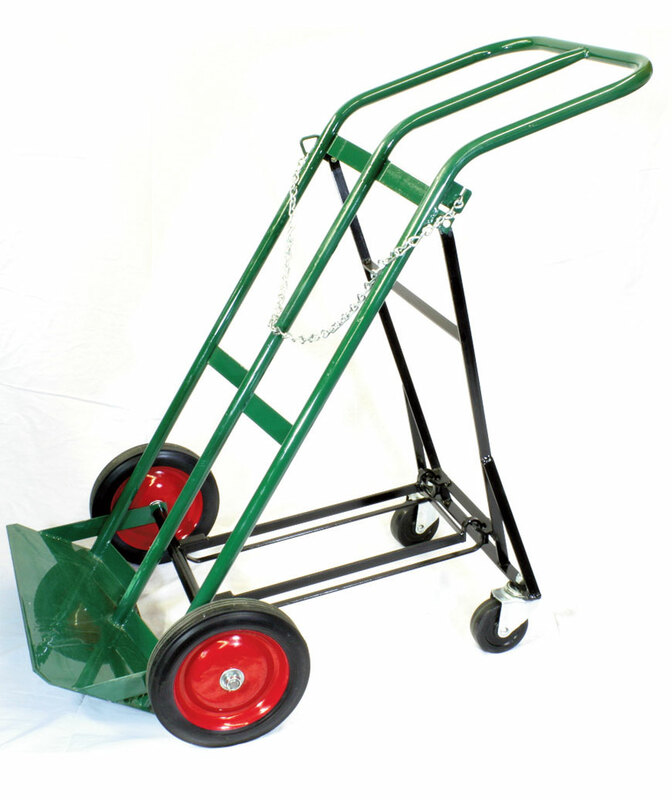 These hand trucks are specially designed to hold and easily transport heavy compressed gas cylinders by persons of moderate strength. They feature arc welded tubular steel construction for strength. All models roll quietly and smoothly on large semi-pneumatic or solid rubber tired wheels and casters for better maneuverability over rough or uneven surfaces. Trucks are finished with green, scratch resistant, high gloss, electrostatically applied, oven baked powder coat. This unit is designed to handle one T or K type cylinder. It has two 4" rear casters, that fall into place when in use, to provide greater stability. The operator carries no load and has greater control over the truck. The rear wheel assembly is easily returned to the retracted position for storage. The cylinder is held securely on the truck by a safety chain. Designed to handle two T or K type cylinders the 6214 has longer handles for ease of mobility and good load control. Retractable 4" rear casters drop into place when needed for extra load handling safety or collapse and lock into the frame for storage. 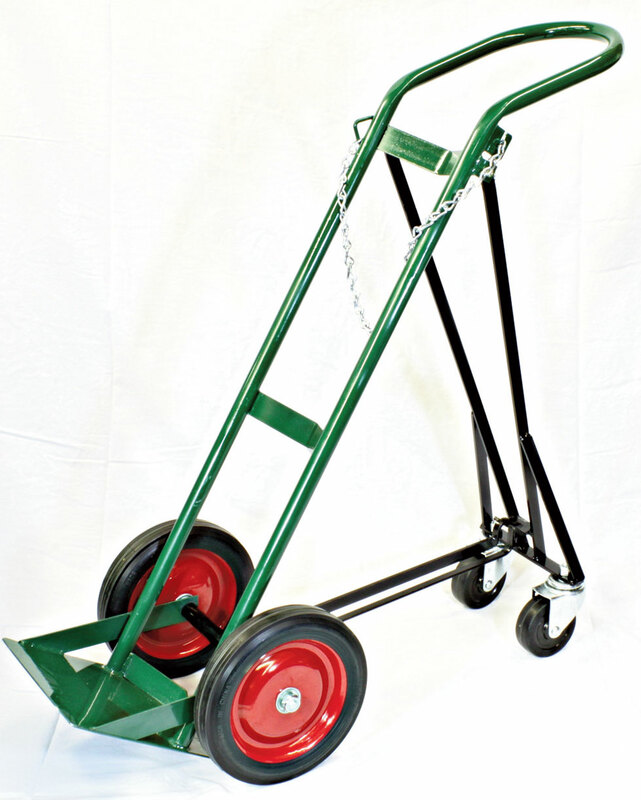 The truck has dual binding chains for extra security and solid 10" rubber front wheels.